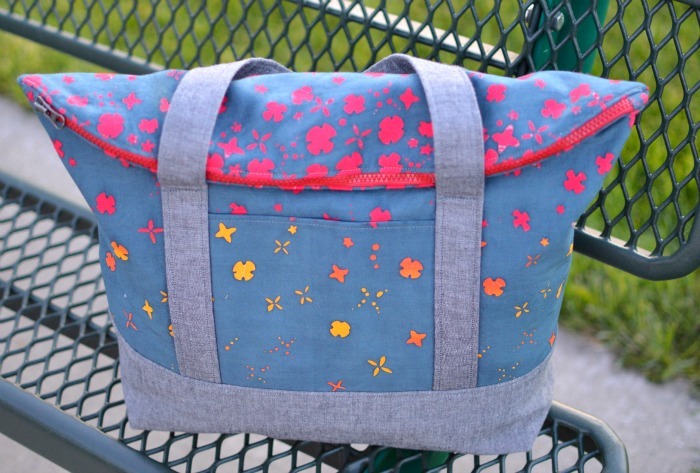 This was the first Senna tote (the second one is here) that I made for the Quilt Market that happened, well, a while ago. The fabric is from the gorgeous line by Alison Glass for Andover Fabrics, Handcrafted. The fabric is truly handcrafted, it's hand painted. 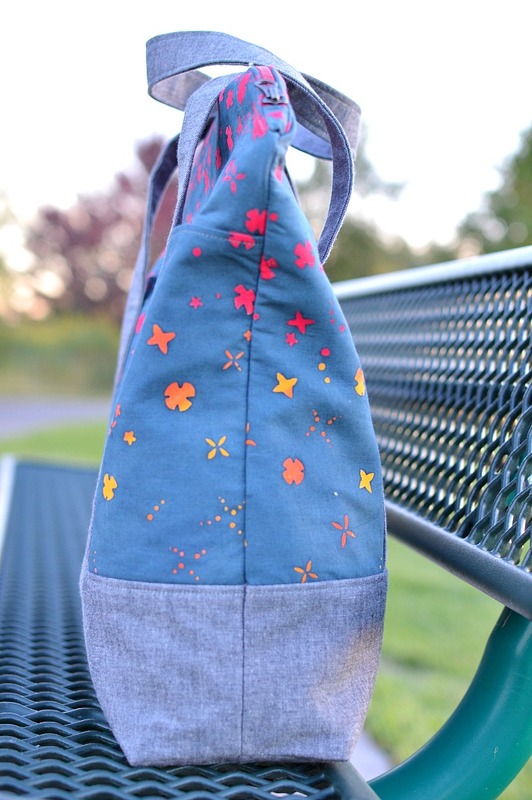 The bottom of the bag is made from linen, also from Andover Fabrics. 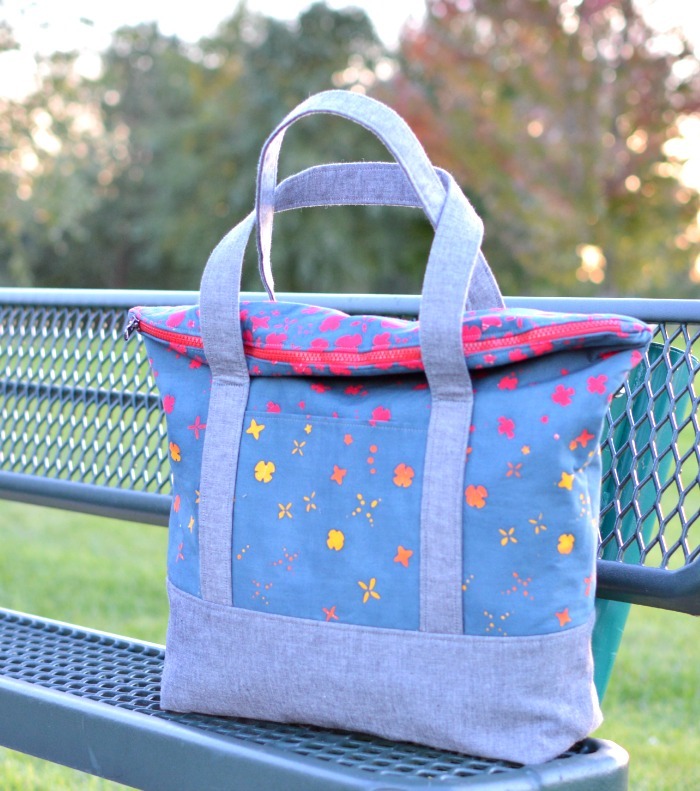 I really like the Senna Tote pattern (LBG Studio for Willow&Co.). 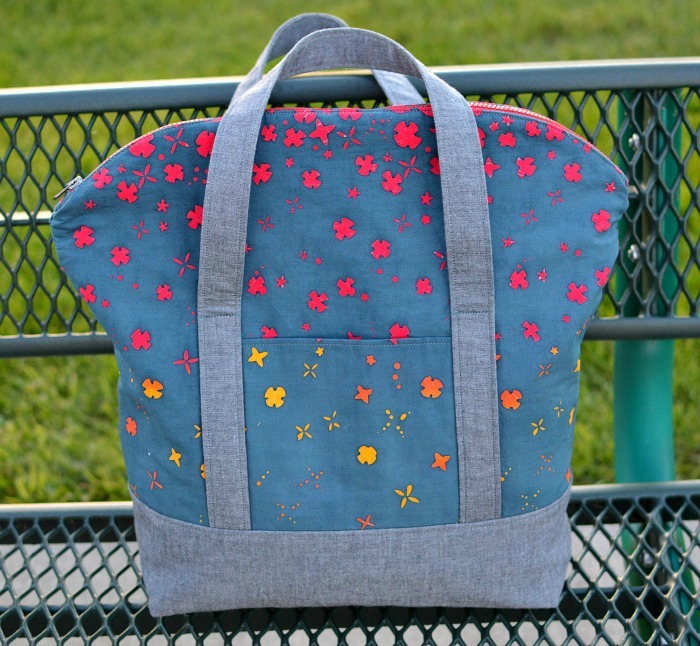 It's really roomy, mommy-on-the-go friendly, yet it's so much nicer then carrying an ordinary tote. The pattern is very well done and well written. Vanessa does such a great job thinking through every single design element. See what I mean about being spacious! You can fit a lot of things in there. Oh yeah, there are also a few pockets! It took me forever to choose the right zipper, everything seemed to clash with the fabric. In the end, I used a red zipper I had in my stash and I think it works great! That is gorgeous fabric!! I should really buy some. Are you going to quilt market in May?? Yep I think this zipper works well. Love the fabric! The tote looks so springy! Bring on spring? such an awesome bag! I feel like it might have to be my first mom bag purchase!! Your Senna totes are so inspiring for me! I want to make one soon...but I have this huge pile of "have to" sewing first!